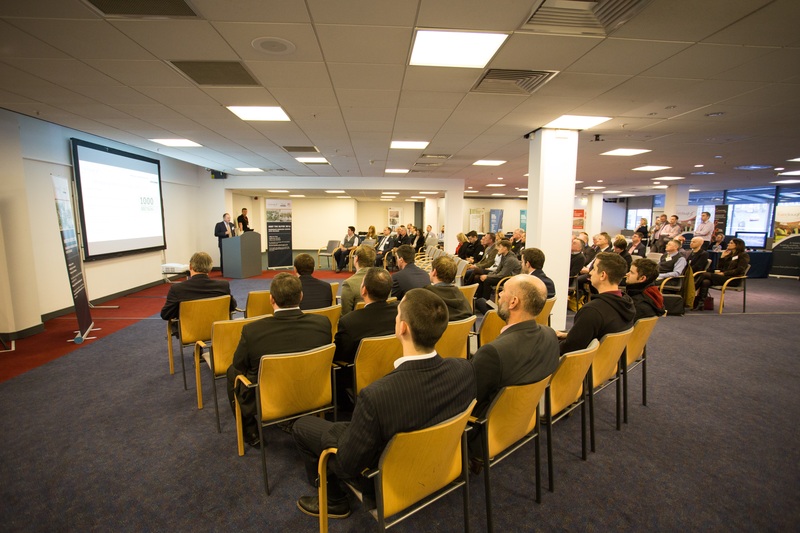 Our Meet the Buyer event at Harrogate International Centre on the 18th February 2016 was a great success and we were delighted that so many local businesses came along to find out how they could get involved in this landmark project. 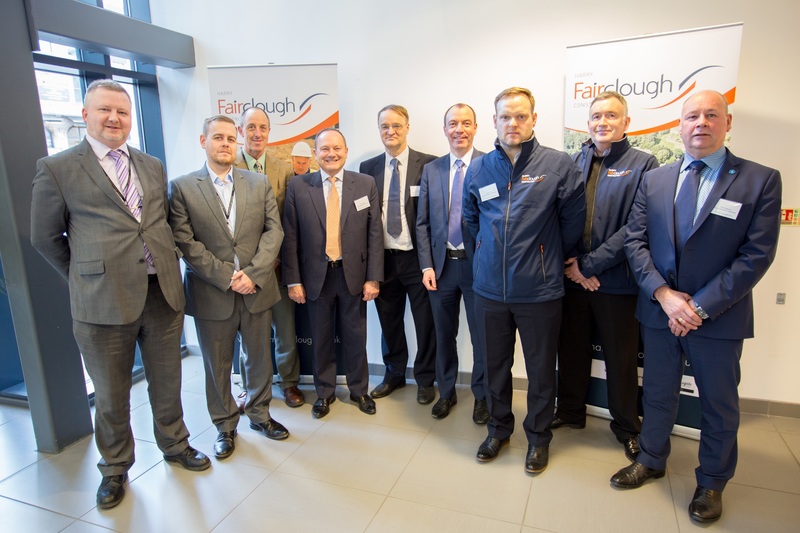 We along with Harrogate Borough Council and our team of subcontractors exhibited at the event, informing local businesses of the packages of work still to be let on the build and the process for getting involved. Exhibiting businesses included, Waterman Group, Bardsey Tree Services, Browne Civil Engineering, PHI Group, Comet Steel and Rotary. The event kicked off with a presentation, introducing the scheme from Richard Cooper the Leader of Harrogate Borough Council, followed by the architect on the project, David Morland of Farrell & Clark, showcasing the vision for the new building and our Managing Director, David Jones, giving an update of progress on-site. This was followed by networking and over 100 local companies were invited along to introduce their businesses to our project team. Harrogate College/ HCUK Training and CITB (Construction Industry Training Board) also attended to highlight the ways in which local young people can get involved, from work experience opportunities to apprenticeships and how businesses can access funding and support with taking on apprentices in the future. We would like to take this opportunity to thank all local businesses who took the time to attend the event. Our team is looking forward to hosting the ‘Meet the Buyer’ event this Thursday (18th February 2016) at Harrogate International Centre, 4-6pm. There are still places available so please sign up here if you are interested in coming along and finding out more about the project, the local businesses that we are working in partnership with, how we are engaging young people in the project and future opportunities to get involved in this exciting build.